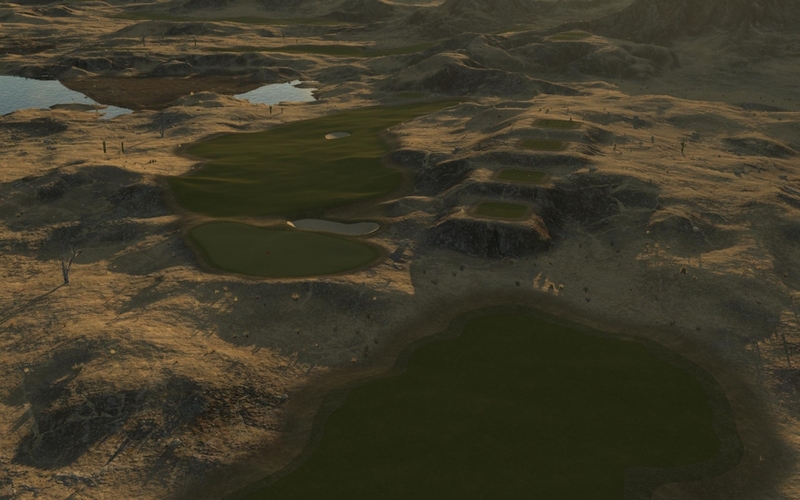 As with many courses made in the desert theme, this course is not as planted as most Blaylock designs, and looks barren in spots. Great nine-holer with a lot to offer the player looking for a casual round. 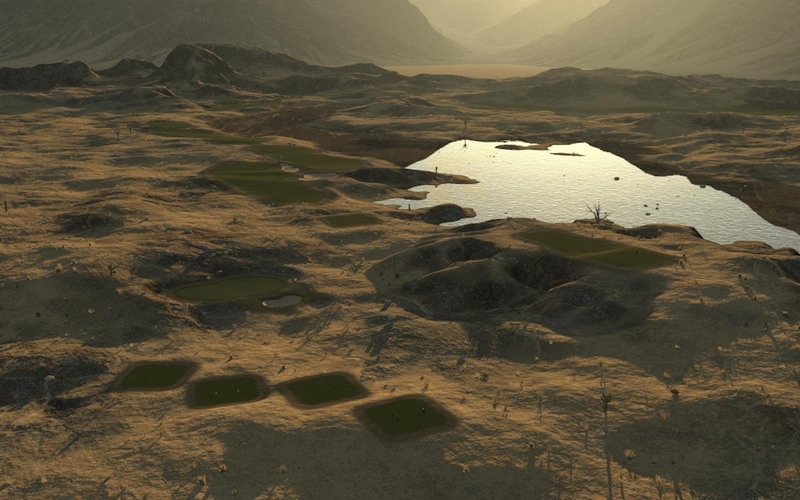 Not a super challenging course, but fun for players of all skill levels. Lighting is superb and variety of hole lengths and shot shapes keeps it interesting. Highly recommended. Very enjoyable course to play. I thought bunkers were placed in spots that challenging my shot making, but still allowed for a good shot to be successful. 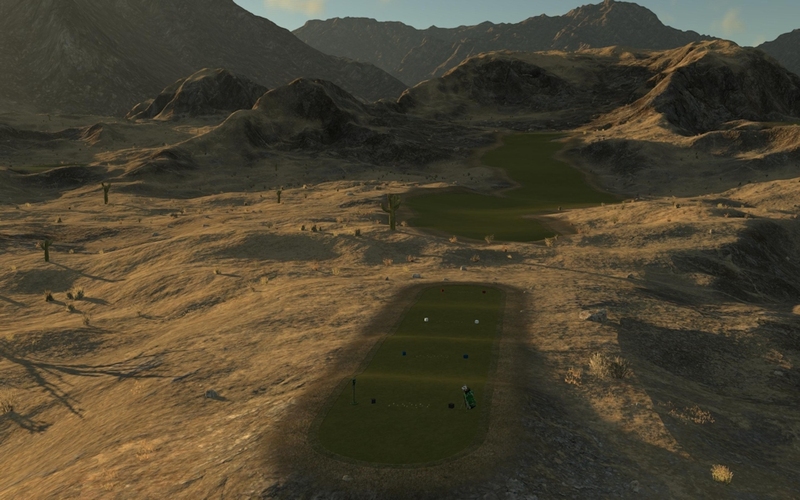 The lighting and scenery was beautiful, as if the course were dropped into a rocky, desert landscape. All the fairways and greens looked nice. There were some severe breaks on the greens, but plenty of room to fit in a good shot and avoid them. I especially liked the tee boxes that rolled down from the back tees to blue to white, etc. Also, there were several bailout areas that I'm sure I would appreciate if the wind were in my face (I had it at my back) and there were a few holes where it took my a few moments to decide which fairway branch to use. Cool. My one complaint about the course is the green area on 4. It sticks out like a sore thumb on a course where everything fits in so naturally. The plateau green and rough ramp leading up to it just don't match the natural beauty of the rest of the course. All in all, fantastic job. Gorgeous course, fun to play.